In the past, a foreign invested enterprise (FIE) with foreign ownership of less than 51% would be treated as a foreign company even though the FIE was established in Vietnam. Under the new LOI, foreign enterprises are only those who are established abroad (foreign investor, F0 level) or if foreigners own 51% or more of a locally incorporated company (F1 level). Art 23 of the LOI presupposes that FIEs are treated as “foreign enterprises” only if foreign investors own directly and/or indirectly through an FIE [owned directly by foreign investors up to 51% (F1 level)] at least 51% of the equity (F2 level). Please also see the restriction of cross-shareholding in Section 15 below. As such, a foreign investor or FIE may establish a domestic affiliate if it holds less than 51% equity. This is an important principle because if an FIE is treated as a domestic investor then it would enjoy the same national treatment as a domestic investor would enjoy. Significantly, that definition also opens up the possibility that foreign investors may only need to obtain an Investment Certificate (IC) once to establish an FIE, and then use that FIE as a holding company for many domestic companies, assuming each of those domestic companies has less than 51% foreign ownership (but foreign investors hold majority voting rights, see section 3 below). That structure allows joint venture groups to operate many different domestic companies in various industries, including those that were previously reserved for local Vietnamese investors. The possibility of establishing a company without having a specific project requiring an IC would popularize the concept of a holding company, which had not yet been widely recognized in Vietnam. Moreover, under this new legal regime special purpose vehicles (SPVs) can be established to acquire assets or projects in Vietnam without having to enter into a joint venture or acquiring shares in a local company, thereby significantly reducing transaction costs. These key changes are expected to create a new wave of foreign investment into Vietnam, provided that the Government can rein in the bureaucracy delays and obstacles in “conditional projects”. Under Art 26 of the LOI when a foreign investor or an FIE (at least 51% foreign ownership) conducts an M&A transaction into conditional investment projects or, as a consequence, holds more than 51% equity of a target, then such M&A activity must be registered with the local department of planning and investment (DPI) where the target is located (the so-called Registration requirement). If these conditions are absent, the M&A activity may be conducted solely under the LOE, thereby avoiding the requirement of obtaining an IC to close the M&A deal, which was the most troublesome condition under the former law. Even when Registration is required, the registration process will be simple and straightforward and must be reviewed within 15 days from submission. This change, together with the redefinition of foreign investor in section (1) above, will greatly streamline the expected increase in M&A investments. Unlike other countries, the concept of “majority voting” under Vietnam’s current LOE requires 65% voting rights, not 51%. The LOE brings Vietnam’s joint stock companies (JSC) back in line with the rest of the world (where majority voting means 51% and super-majority voting means 65%). Please also note that a shareholder holding less than 51% equity could hold more than 51% voting rights if he/she has shares with preferential voting right. With respect to limited liability companies (LLC), the default majority rule is still 65% “unless otherwise provided by the Charter”. That effectively means a simple majority voting in an LLC could be as low as 50.01% if the charter so stipulates. The quorum required to hold a board meeting for limited liability companies or joint stock companies will be reduced from 75% to 65%. While this change may not affect existing companies with their current charters depending on how those charters were drafted, it opens up opportunities to renegotiate the charter for the benefit of some of the shareholders, as well as allows more investors to buy shares in a company. Foreign investors will no longer be surprised when dealing with Vietnamese law. The process to obtain an IC will be simplified for service projects, resulting in decisions within five days from submission. However, projects involving sea transportation, telecommunications, publications or the press requires approval from the Prime Minister. Similarly, projects in the banking and finance and insurance sectors will require the approval in principle of the Governor of the State Bank or the Minister of Finance. 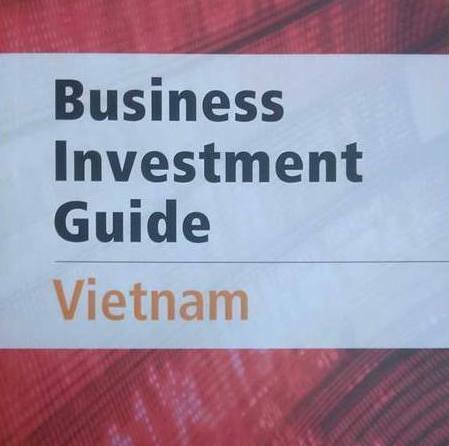 If implemented properly, many foreign investors will no longer have to prepare feasibility studies and await the opinions of numerous ministries before they can start operating in Vietnam, thereby removing one of the most burdensome hurdles in the investment process. Most projects that use land (except building factories in industrial parks) or high-tech projects consist of two steps: obtaining in-principle approvals and IC registration. In the first step, the investors must provide a feasibility study of the project, which shall be assessed by various authorities, with the time of assessment taking up to 45 days or more. Mega-projects may need to be approved by the National Assembly. An IC is required only for greenfield investments by foreign investors or deemed-to-be foreign investors (i.e., FIE with at least 51% foreign ownership). After obtaining the IC, an FIE must be established by obtaining an ERC. This may seem to be more paperwork, but in fact is a positive development, because it levels the playing field between FIEs and domestic enterprises, and that many changes in the FIEs may not be required to amend the IC but only the ERC. Having an IC is also an advantage of FIEs, because it clearly states the rights of the investors and investment incentives of FIEs. The ERC and NIGERD registration (see item 7 below), which are available for FIEs, also allow business community to track corporate data easily and enhance transparency as well as preventing fraud. While the LOI reduces bureaucracy in the IC registration process, the LOE reduces delay in the ERC issuance process. The business lines are no longer recorded in the ERC. In doing so, an enterprise may have as many business activities as they wish provided they are not prohibited or restricted by law. Trading and distribution companies will not need to supply thousands of HS Codes for traded products (and for products they anticipate in the future). This preempts the previously common complaint that licensing authorities frequently posed irrelevant questions delaying the incorporation process due to the HS Code requirements. The relaxation of the HS Code system and the list of business activities during the ERC issuance process may lead the way to the loosening of the ultra vires doctrine – that is, an enterprise may only conduct business if the fields listed in its ERC. This, again, will provide more certainty and relieve apprehensions over the legal capacity of companies who do business with each other. The ERC application will now just take only three days from the date the application dossier is submitted, instead of five business days as before. Even though technically, an enterprise now is permitted to engage in all activities not prohibited by law, the LOE still requires the company to notify online its business activities, which in turn must not be within the list of conditional sectors. This information will be collected and made available online by the National Informative Gate of Enterprise Registration Data (NIGERD). In other words, while it is commonly understood that the new LOE allows enterprises, without registration, to operate in all sectors which are not prohibited and not conditional, the NIGERD online registration maintains the transparency and know-your-partner environment business community. If the enterprise wishes to change its scope of business, it will need to notify such changes to the business registration authority. Such notice might be objected within 3 days by the ERC business registry if the change is contrary to the law. It is regrettable that while the process of ERC registration is simple and the list of documents to be submitted is straightforward, the ERC registration may require applicants to submit their criminal records “if necessary”. It may obstruct the target of establishing a company within three days. The implementing decree may need to address this issue to rein in red tape. Although the old LOE introduced the concept of fiduciary duty, it did not provide for an implementation mechanism to protect minority shareholders if the fiduciary duty is violated. For the first time, the new LOE introduces the concept of derivative actions, which allows shareholders holding at least 1% of the total shares to launch derivative actions against board members, directors and controllers for violating their duty to put their own interests before the company’s interests and the duty not to abuse powers. The cost of derivative actions will be borne by the company. This can be considered good news for private equity funds or minority investors who currently hesitate to participate in the equitization programs of state owned enterprises (SOEs) because the majority shareholders are usually the Government or a relative of the SOE’s incumbent managers. Nevertheless, the reform in the LOE should go hand in hand with the reform to the Civil Procedural Code to enable derivative actions to be fully recognized in court proceedings, unless the charter allows such actions to be arbitrated. The LOE now recognizes the rights of companies to issue bonds. Unlike previous legislations which require the bond issuer to be “profitable”, which might not be feasible to SPVs, the new LOE only requires the bond issuer to be solvent, i.e., able to pay its debts when due. This deregulation may create opportunities for more securitization and a boost for the project bonds market, finally helping to develop a vibrant capital market in Vietnam. Foreign investors sometimes express concerns over the concept of one “legal representative” for a company in Vietnam, as this is the only person that can bind the acts of the company. Often than not, the dismissal of the legal representative becomes a long-term dispute among many shareholders or a third party who is surprised when the director signing the contract is actually not a legal representative. The LOE now envisions that a company may have more than one legal representative and more than one chop, which aims to remove counter-productive shareholders’ conflicts among local enterprises about the removal of a legal representative and bring Vietnam’s LOE more in line with the rest of the world. It is, however, worth noticing that the LOE does not mention clearly whether the scope of authority of each legal representative will be equal or dependent on the position held in the enterprise. In other words, the scope of authority of each legal representative should be clearly defined in the charter of the enterprise. In the past, Vietnamese authorities often measure the capacity of a company by its “charter capital”. Taking advantage of this practice, many companies were established declaring a very high charter capital amount which was never actually paid. To counter this problem, the LOE now provides that charter capital must be the actual paid up capital, which must be fully contributed within 90 days from the company’s establishment. Apart from paid up capital, there may be authorized capital, but this would not be considered as charter capital. Any issuance of shares beyond the authorized capital amount should either comply with the process of public offerings (registration at the State Securities Commission) or private placement (notice to the business registration authority). With respect to charter capital being paid-up capital, if a JSC company decides to repurchase its shares, the LOE requires the company to decrease the charter capital to the total face value of the repurchased shares within five days from the completion date of the repurchase. Accordingly, the definition of treasury share is not recognized. This precludes a company from investing in its own shares while it evaluates its share price. From July 1, Enterprises shall be permitted to freely decide the form, contents and number of corporate seals to be used, provided that name and enterprise’s registration number must be shown. Enterprises must notify the same to the National Portal on Enterprise Registration (“NPER”). Likewise, not all JSCs are required to establish a board of control. The new LOI exempts this obligation for privately held companies (less than 11 shareholders and no corporate shareholder who owns at least 50% total share). This rule does not apply for one-member LLC. Not only must the company’s owner appoint at least a controller, but such a controller must not be the company’s employee or related person to the owner, and must have a degree either in law, auditing or accounting. This requirement prevents the owner of a one member LLC to use corporate veil to his advantage. The old LOE requires all SOEs must be converted into a one member LLC, but it lacks the mechanism to rein in the principal agent conflict of interests. To target this issue, the new LOE requires the SOE to disclose more information, to organize Board of Members (BOM) meeting more frequently, to give more power to the SOE’s board of control. The new LOE requires the SOE to implement the decision of its supervisory agency. The resolution of the SOE’s BOM might also need to be approved by the supervisory agency if its charter so requires. The chairman or CEO would be dismissed if he/she does not meet the business target in the business plan without acceptable justification. It remains to be seen how these two missions could be accomplished at the same time. The LOE introduces a new concept called “social enterprise”. This enterprise is established to solve social or environmental problems for community benefit, and must use at least 51% of its profits to reinvest to such objectives. Unlike other enterprises, social enterprises may receive charity funds or support from non-governmental organizations or other enterprises. It is hoped that such supports would be tax deductible expenses for the donors and also allow companies to establish their own social enterprises to fulfill corporate social responsibilities. The LOE does not allow a subsidiary to hold share in a parent company, or a cross-shareholding in between two subsidiaries of the same parent company. While this general obligation still wait for explanation in the implementing Decree of the LOE, this may affect a holding structure to the extent as cross-shareholding is concerned. It is unclear whether an F1 company holds share in an F2 company (but not vice versa) would fall into this prohibition if both F1 and F2 are members of an F0 group(see the graph in section 1 above). The simplification of the IC process does not benefit all foreign investors. Those foreign investors interested in 267 so-called “conditional” projects continue to face obstacles. These “conditional” projects are still subject to restrictions such as credit institution projects, printing projects, mining projects, or education and healthcare projects. These conditional projects often include services mentioned under the WTO roadmap. A drafting committee confirmed that such “WTO-related” conditions will only apply to foreign enterprises and not domestic enterprises. As to retail and distribution, the restriction is extended to “sale and purchase activities and related activities”. It is also unclear how “conditional projects” will be controlled, and how the economic-need-test (ENT) will fit into the new LOI. The next step is for business societies and law firms to lobby the drafting committees to specify in the implementing Decree of LOI (due by 1 July 2015) what documents are required during the application process and prohibit the requirement of documents not expressly identified in any implementing regulations. With respect to trading and distribution, all restrictions and conditions should be removed. In order to develop a production base, foreign investors should be allowed to test the market and distribute their goods and services freely. The restriction of foreign trade and distribution not only affects the effectiveness of the ASEAN Economy Community (to be implemented in 2015), but also harms local distributors in the long-run. A good local distributor will always seek to expand and would need capital, a variety of goods and also international co-operation. Another bureaucratic problem is that although the law provides 45 days for authorities to consider an application and issue an IC, this time limitation is often not respected by the authorities and is not subject to any sanctioning. The reform in the LOI and LOE will create a major impact in the Vietnamese business and legal community. The revised laws will facilitate the establishment of new enterprises, especially those owned by foreign investors, and reduce the costs when investors withdraw from the Vietnamese market. In addition, it will ensure the legitimate rights and interests of investors, shareholders, and other stakeholders. If properly implemented, the amendments to these laws will remove many obstacles that enterprises have faced when operating in Vietnam. However, if the Government does not rein in problematic regulations that bureaucrats may still create such as vague or contradictory decrees, circulars or official letters, multiple challenges will continue to frustrate the business community.